The spectacular Hongcun village at sunset in Anhui Province, China. It's a scene that could have been recorded 100 years ago. Okay, you’re a competent photographer, but why do you make the photos you do? What is it, beyond the need to document important people, milestones and events in your life that drives you to photograph the world around you? Accurate color reproduction and maximum detail are important considerations for the purposes of photo documentation, but passion for your craft must be driven by more than technical concerns. A graceful European statue in front of a classic thai-style pavillion at Bang Pa In near Ayutthaya, Thailand. The last of these points is particularly relevant. We speak to the world through our photography, as much as we do through the words we use. Our audience understands the kind of person we are through the images we produce. That’s because our images speak both of and for us, in a way that’s often more immediate and more personal than we are able to communicate through words alone. A portrait of a young boy with his father watching on in front of their store in Kolkata, India. Some say we are what we eat. I believe we are what we photograph. How we go about making those photos and what, ultimately, they say about us, the subject depicted and the universal truths we explore is at the very heart of this creative endeavor to which folks like me are so profoundly connected. An important question for all photographers is whether we are photo makers or photo takers. A number of years ago I became particularly uncomfortable with the use of the word shoot in relation to making photographs. As a result I’ve done my best to eradicate that word from my photographic vocabulary. I have no problem when other folks use the word shoot in relation to photography. They do so because they don’t see any harm in it and because the word shoot is so ingrained in the language of photography. But I don’t like the word shoot and I do my best not to use it when talking about photography, my great passion in life. 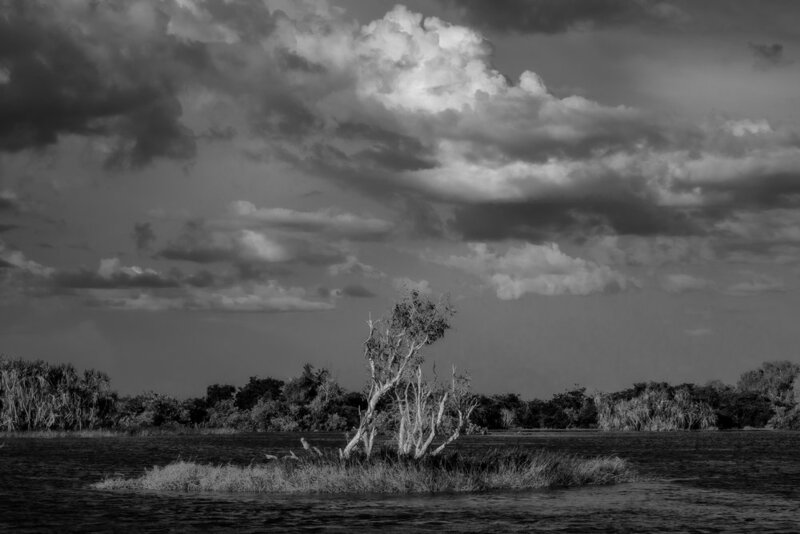 A small group of trees on a tiny island on the Yellow Waters Billabong in Kakadu National Park, Australia. Are You A Photo Maker or Photo Taker? The same is true for the words take and capture. I don’t take photos, I make photos. Likewise, I don’t capture anything. While the word take suggests theft, capture is just such an aggressive and, potentially, cruel term. For me photography is simply a personal response to what I see, how I feel about what I see and how I manifest that vision through the creative process. I do not shoot photos. I do not take photos. I make photos. I do not capture photos. I create photos. I understand many folks will find this discussion pointless and largely based upon semantics. However, words have power and, as such, are important. I want the words I use to more accurately represent what photography means to me and the way I go about making photos. A beautiful, abstract image of reeds on water in the famous Hongcun Village in Anhui Province, China. I believe that photography has the power to imbue an object with life in a way that elevates it from object to subject. Through the process of photography that which was glimpsed through the camera’s viewfinder is now preserved, in perpetual light, somehow outside of time and space. Photographers, as artists, become creators and, in doing so, continue the act of creation of which we are all a part. From my point of view photography is, therefore, a spiritual endeavor.